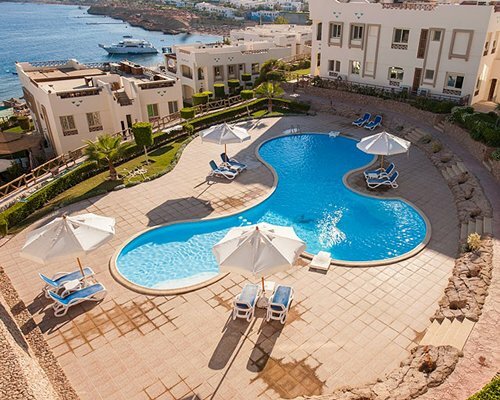 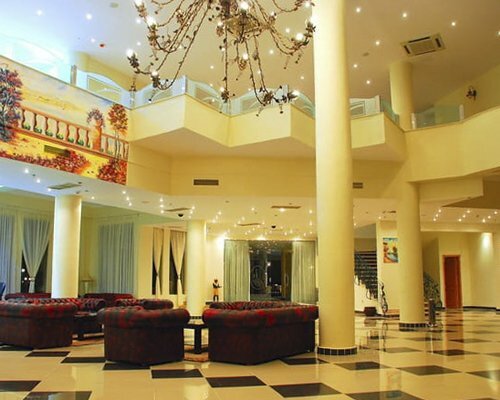 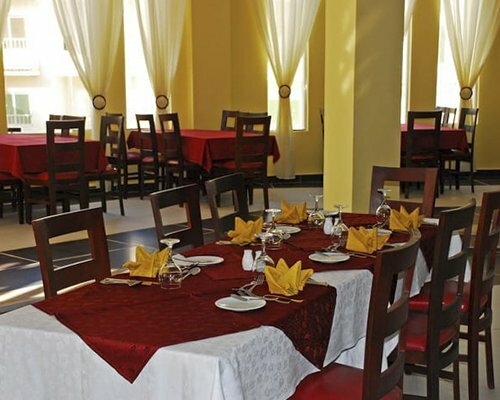 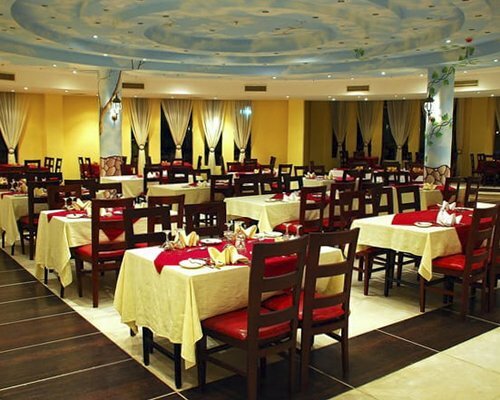 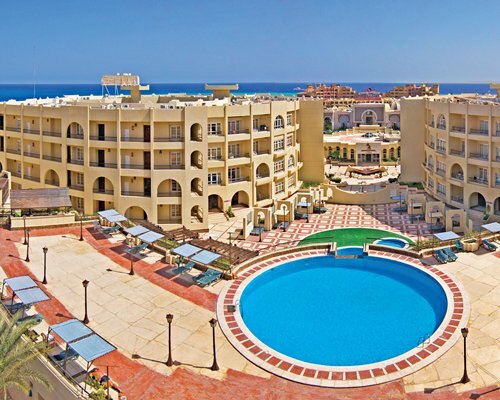 Sharm Bride Hotel And Residence is conveniently located on Nabq Bay, in the quieter end of Sharm El Sheikh. 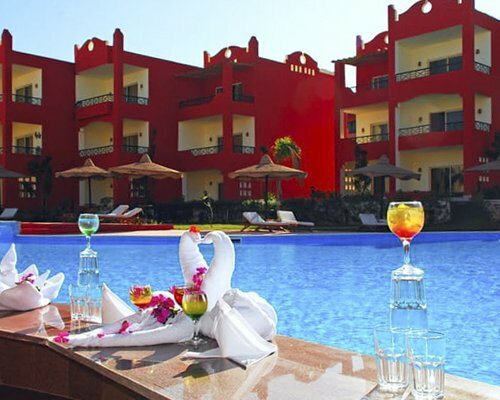 Offering hotel rooms and private residences, the resort is ideal for couples and families alike. 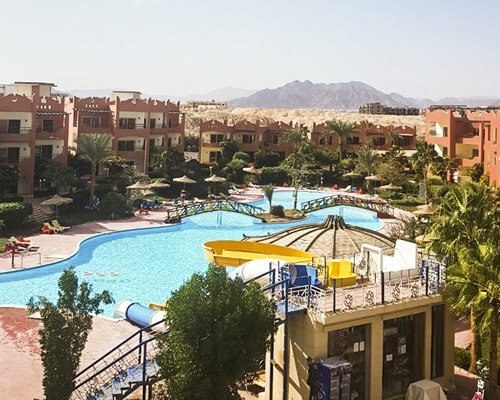 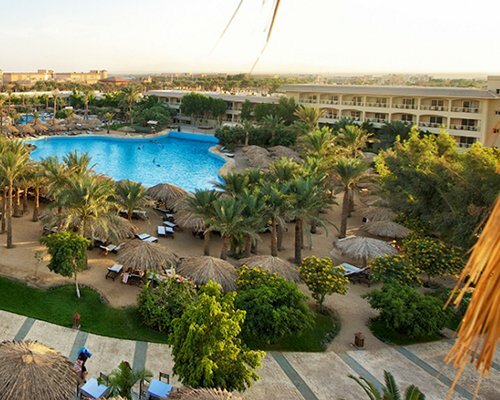 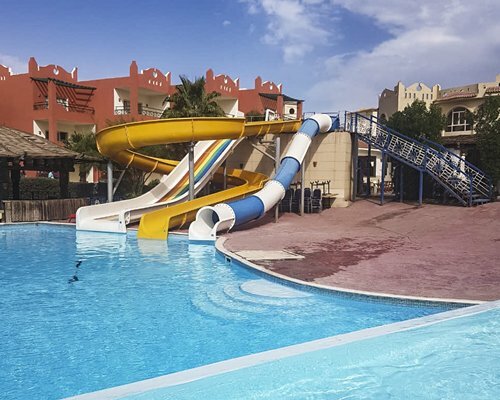 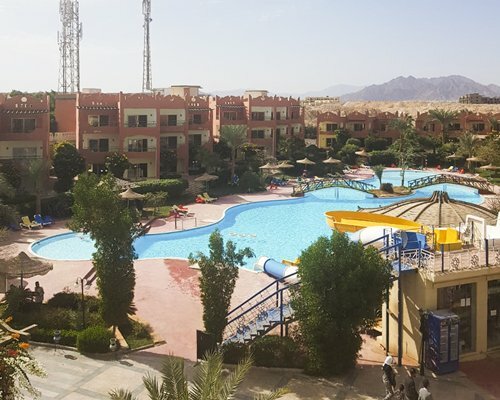 With the Red Sea as its backdrop, the resort provides the perfect setting for an Egyptian getaway, with a range of services and amenities to enhance their stay including a heated swimming pool, a separate swimming pool with a water slide, a restaurant, bar, and a children's club. 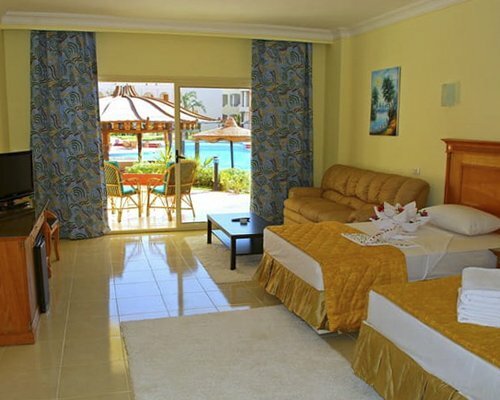 The resort offers one- and two-bedroom units, all featuring pool views to bring the area’s gorgeous scenery inside. 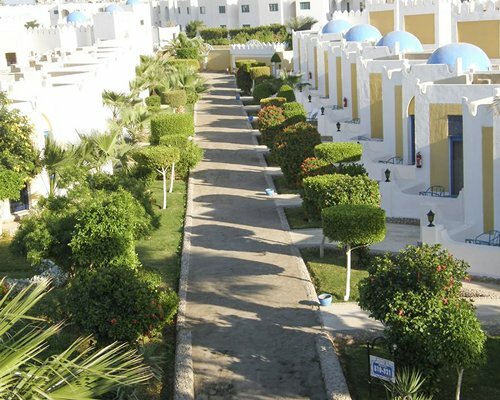 Each unit is nicely furnished and equipped with a partial kitchen that includes a large refrigerator, tea kettle, hot plate, and oven. 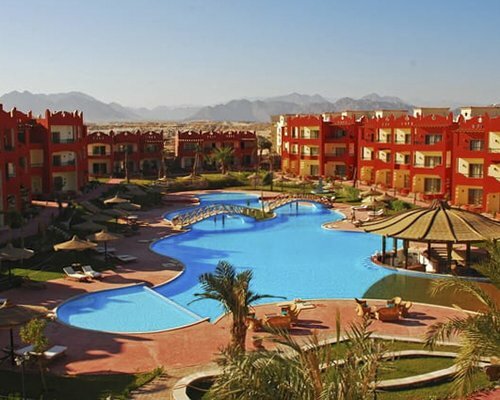 Additional amenities include air-conditioning, a balcony, satellite television, and an in-unit telephone.